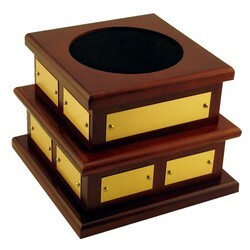 Finding the sterling cup, crystal vase, hand blown glass or trophy is the easy part…but your client wants it displayed on a base that can carry the names of past champions. We have your solution, available at just one base at a time or in quantities and able to cover up to 14 years of champion names and dates in addition to the championship name and logo. 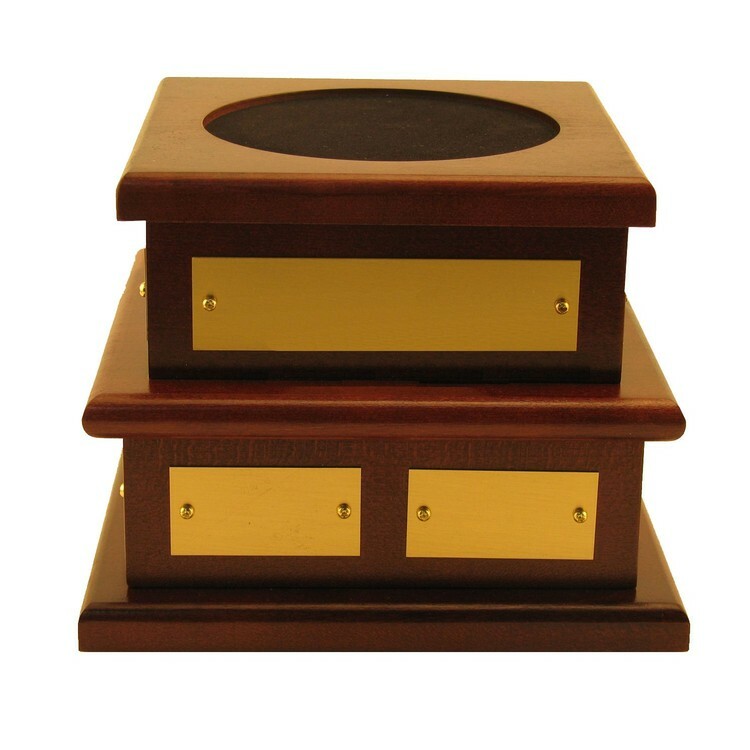 With options like any of our standard finishes, additional plates, custom top recesses, multiple flocked insert colors and LED display lighting, this may be the nicest championship base your client will ever see. Have you presented the idea of a clubhouse trophy for any of your membership club clients. Help them showoff and promote the Golf, Tennis, Hunting, Sailing or other championships to build pride in their membership base.